Dominating the central part of San Cristobal is La Catedral de San Cristóbal or San Cristobal Cathedral. Construction on the beautiful mustard colored church was begun in 1528 but wasn’t completed until almost 200 years later because of several natural disasters. Earthquakes in the 19th century caused considerable damage, but the church was restored again in the early 20th . The interior is gold-leaf and has five gilded altarpieces and features fine art paintings from the 18th century. The Cathedral’s first priest was Bartolomé de las Casas but he was only able to serve for a short time before he was forced to return to Spain, in part due to conflicts with Spanish colonial settlers, because of his pro-indigenous policies and activist religious stances. De las Casas spent 50 years of his life actively fighting slavery and the violent colonial abuse of indigenous peoples. 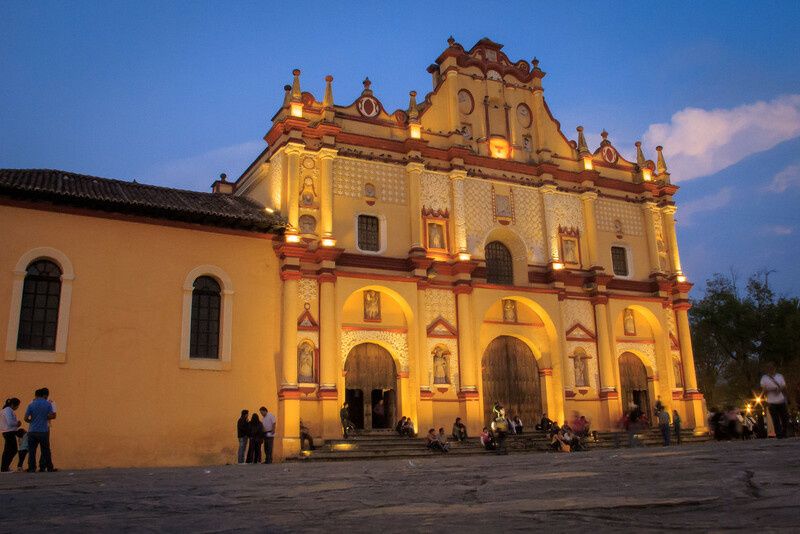 In 1848 the then capital of the Mexican state of Chiapas, Ciudad de San Cristobal was renamed San Cristóbal de Las Casas, in honor of its first bishop. It is great to sit in front of the church and just observe life in San Cristóbal.